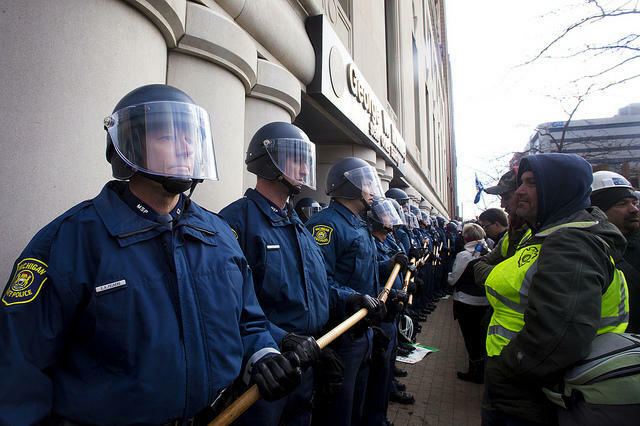 LANSING, Mich. (AP) - A judge has rejected a challenge from opponents of Michigan's right-to-work law who claimed people were illegally locked out of the Capitol when lawmakers debated the legislation in 2012. Thousands of union members protested outside the state capitol building during the critical vote on Right to Work. Few were allowed inside the building. Court of Claims Judge Deborah Servitto ruled in favor of the Legislature and dismissed the lawsuit Friday. She says the rights of the public were not impaired when the Capitol was temporarily closed by state police due to overcrowding. Servitto says members of the public and news reporters were in the House and Senate. Neither chamber approved the bills while the Capitol was closed. Workers can't be required to pay union dues or fees under the right-to-work law. 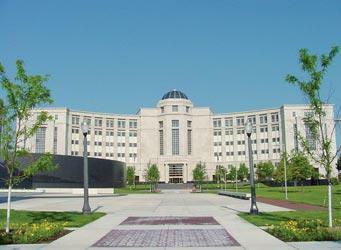 Opponents wanted the law struck down, saying closing the Capitol violated Michigan's open meetings law. LANSING, Mich. - The Michigan Supreme Court has heard arguments in a case that will determine whether state workers are covered by a right-to-work law. The law says public and private workers in Michigan can't be forced to pay union fees as a condition of having a job. The dispute at the state's highest court Tuesday centered on whether the law steps on the turf of the Civil Service Commission. It’s been nearly two years since a lame-duck Legislature made Michigan the 24th right-to-work state. In response, 12,000 furious protesters flocked to the state Capitol, vowing Republicans would pay dearly at the next elections. Nolan Finley, editorial page editor of the Detroit News, and Michigan Radio political analyst Jack Lessenberry joined Stateside to talk about the impact of right-to-work on the upcoming elections.